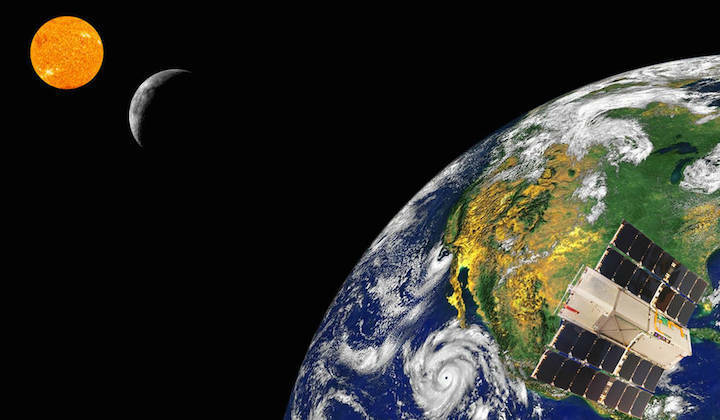 While people across the nation gazed at August’s total solar eclipse from Earth, a bread loaf-sized NASA satellite had a front row seat for the astronomical event. On Aug. 21, 2017, RAVAN observed the sun during the solar eclipse. Here, an artistic rendering depicts RAVAN’s view just prior to the event. RAVAN began collecting data from Earth’s orbit on Jan. 25, 2017, and the technology demonstration was declared a success in early August. But the solar eclipse on Aug. 21 gave researchers a unique opportunity to further test an important carbon nanotube attribute: its strong sensitivity to rapidly changing energy outputs. While designed to measure the amount of reflected solar and thermal energy emitted from Earth into space, during the eclipse RAVAN’s highly sensitive nanotubes would be trained instead on the sun to detect changes in the amount of incoming solar energy. As the moon passed between Earth and the sun, RAVAN’s instruments responded rapidly and accurately to measure the diminishing solar energy that was visible to the satellite’s detectors. 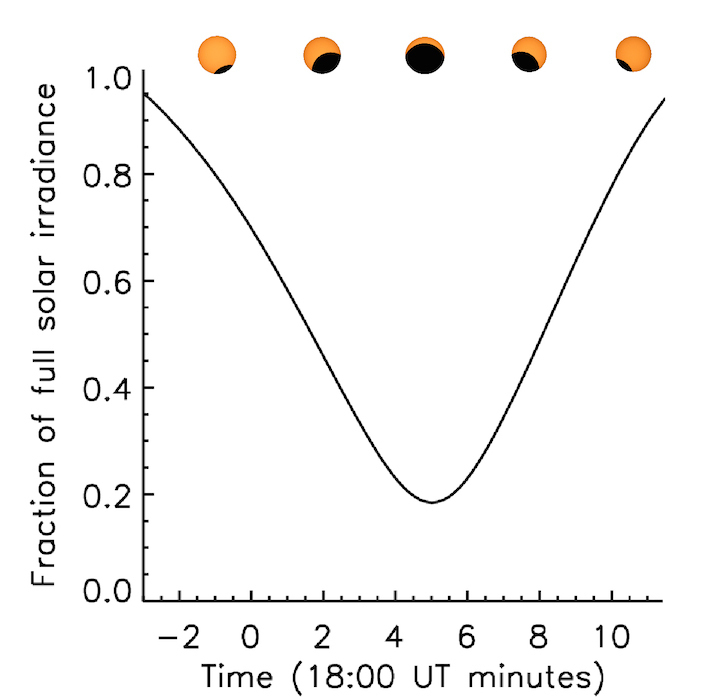 Swartz explained, "Although RAVAN routinely views the sun for solar calibration, it tracked the sudden change in solar energy afforded by the eclipse as expected." The data plotted here were collected by one of RAVAN’s carbon nanotube radiometer sensors. The plot shows that these sensors can rapidly respond to changes in the sun’s or Earth’s irradiance. Sun graphics depict the eclipse’s extent during the observation. Having smaller satellites placed uniformly around the planet could offer an advantage when it comes to studying Earth’s energy imbalance. "The radiant energy emerging from the Earth changes rapidly in time and space, particularly as viewed from a satellite constellation speeding along in low-Earth orbit,” Swartz said. “The solar eclipse provided a unique opportunity to test the RAVAN measurement responsiveness in a controlled fashion, further proving the technique for Earth observation." To learn more about ESTO and its programs, including the RAVAN mission, visit esto.nasa.gov.